Is Facebook Losing Its Online Marketing Glory? The 2013 Social Media Industry Report revealed some interesting statistics pertinent to social media and online marketing. The survey was carried out across a sample group of 3000 marketers, focusing specifically on real estate marketing. One intriguing statistic that emerged from the report was that only 37 percent of marketers believe that Facebook is effective in their marketing. However, on the other hand, Facebook still is the top social media platform used by online marketers out of the leading platforms like Twitter and LinkedIn. Therefore it may be premature to say that Facebook is losing its glory as a medium for marketing. At the same time there may still be a lot of old fashioned skepticism regarding social media as a marketing tool. This skepticism can come as a surprise. 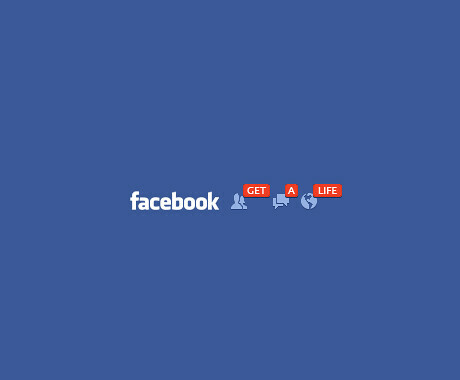 After all, people spend more than 700 billion minutes monthly on Facebook. That is clearly a significant number of pairs of eyes to advertise to. And there are plenty of ways in which Facebook has been successfully used as a vehicle for a brand’s image, connecting with customers and for generating leads. Nevertheless it appears that a number of marketers may still be unaware of the best social media marketing practices. The social media ‘revolution’ has caught up only in the last few years, so marketing through this medium is still a new phenomenon. The Social Media Industry Report revealed that 90 percent of those surveyed wanted to know the social media tactics that work best and that only 26 percent of the marketers surveyed are actually monitoring their social media strategies, if they have a strategy at all. Therefore the general indifference of these marketers appears to be not towards Facebook in particular but towards social media in general. Also, much of the skepticism may arise because marketers are possibly failing to use Facebook’s marketing capabilities in effective ways. Facebook is an effective tool for instant market research. Simply carry out a survey or poll if you’re not sure of a product. Marketers can also use the new Facebook Graphs search feature to locate entirely new target audiences. Let your customers ‘talk’ with you directly through messages and comments sections if they have any feedback or questions regarding your products. There is no better customer service that businesses can provide. When marketers begin to communicate and engage with customers through their business ‘page’, ‘like’ and comments sections, they enhance their credibility in the eyes of their customers. And being an informal platform, Facebook users expect you to speak the language of the masses, and leave your marketing speak behind on the PR page of your company website. This provides more opportunities for revealing the human ‘face’ behind a brand’s corporate mask, further enhancing credibility. With rising credibility comes loyalty and greater conversions through word of mouth marketing. Facebook’s potential for identifying leads has made it one of the top social media platforms used for marketing online. However there still is a large bulk of the marketing community that doesn’t yet realize that social media marketing could benefit them. When it finally hits, we do hope that Facebook will come up with some better tools for converting those leads into higher ROIs in more focused ways.